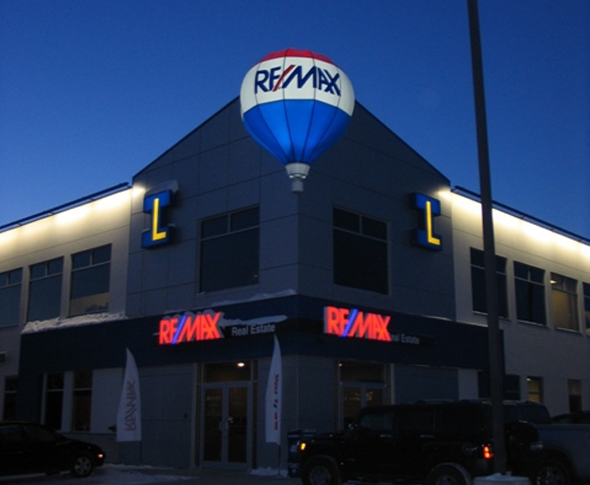 The giant balloon designed and built for Remax in Fort Saskatchewan is installed on the corner of a building about 30 feet in the air. 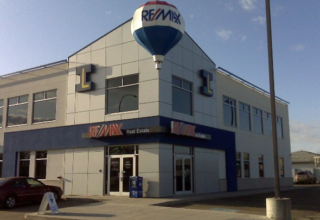 The project was done in partnership with another large sign company in Edmonton, who came to Edmonton Tent & Awning because they were aware of our expertise in designing and engineering unique projects. 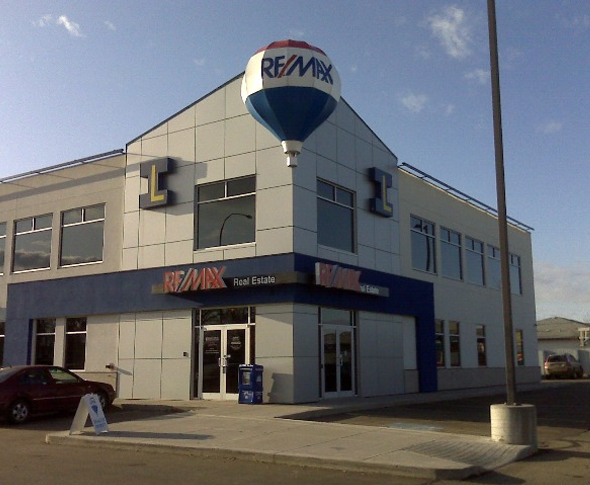 There are approximately 9 ribs in each panel of the balloon, and each rib had to be hand-bent to a specific curvature. 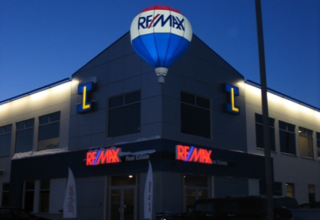 Backlit for a strong nighttime impact, the balloon met the customer’s needs and helped drive business.